Editor’s Note: This article originally appeared in US News & World Report. It’s time to recognize big tech’s involvement in the widening gap between booming coastal tech hubs and smaller heartland cities. Big tech companies have been blamed for many things lately. Whether it be fake news, privacy scandals, and addictive product design or the rise of inequality and spreading social tensions, the current year has seen the giants of America’s digital economy forced to acknowledge their role in a long list of distortions of the real world. It’s not been pretty. Yet at the risk of piling on, it’s also time to bring up one more major problem: tech’s big role in reshaping the nation’s urban geography. Some of this is local and well known — epitomized by the tumultuous livability crises that have engulfed neighborhoods in Seattle, San Francisco, and other tech hot spots. In Seattle, the hyper-growth of Amazon’s downtown headquarters has been blamed for spiraling real estate costs, traffic gridlock, and rising homelessness, among other issues. But what is less recognized, and much more extensive, is big tech’s vast influence on the nation’s landscape, including on the widening gap between booming coastal tech hubs and smaller cities in the heartland — a topic that Brookings and the Walton Family Foundation will discuss more in a forthcoming report. Scholars have for years suspected that tech might alter the hierarchy of cities, given its bias toward skilled workers. More than a decade ago, researchers Paul Beaudry, Mark Doms, and Ethan Lewis showed cities that adopted personal computers earliest and fastest saw their relative wages increase the quickest. Now, there is more evidence (including in our own work) that digital technologies are contributing heavily to the “divergence” of metro economies and the pullaway of “superstar” cities like Boston and San Francisco from more ordinary ones, with painful impacts. Recently, Princeton economist Elisa Giannone demonstrated that the divergence of cities’ wages since 1980 — after decades of convergence — reflects a mix of technology’s increased rewards to highly skilled tech workers and tech-driven industry clustering. Likewise, Brookings research has shown that a short list of highly digital, often coastal tech hubs is growing even more digital and pulling farther away from the pack on measures of growth and income. What we call the “digitization of everything” is in this way exacerbating the unevenness of America’s economic landscape. A clear rank-ordered divergence of growth by community size has taken hold, with the 53 biggest — and most focused on tech — metro areas (those with populations over 1 million residents) pulling far away from the experiences of other communities. These major hubs have accounted for over three-quarters of the nation’s employment growth since 2015, though they account for just over half of the population. By contrast, smaller metropolitan areas have trailed while small towns and rural areas have gone sideways or negative, albeit it with modest uptick in the last year or so. In short, the nation’s tech revolution — for all its benefits — has pretty clearly exacerbated the nation’s rising geographical imbalances and urban-rural divides, which is why both policymakers and tech executives must recognize tech’s involvement in the nation’s territorial inequality and work to remedy it. 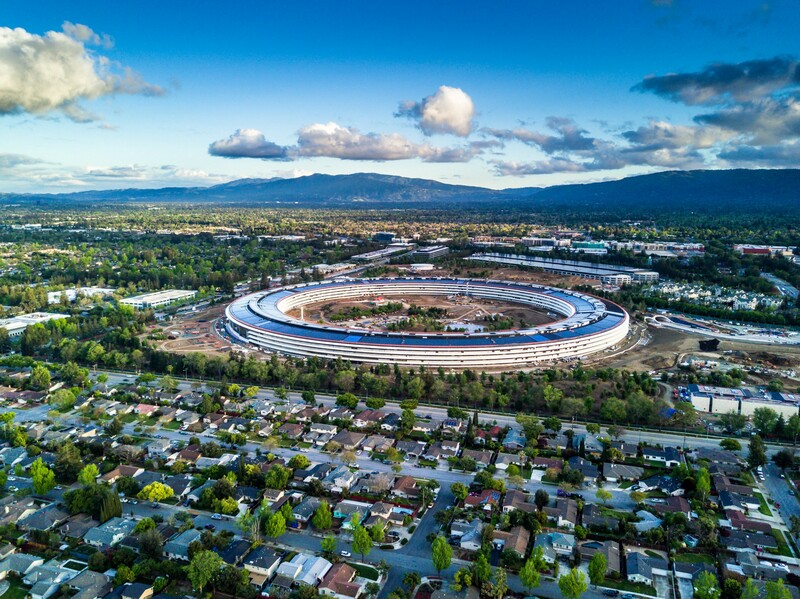 The tech giants, for their part, need to add the nation’s crisis of geographical inequality to the list of the real-world side effects they are beginning to grapple with. Some signs are encouraging. Last year, Apple invested $1 billion in a fund to scale up manufacturing in U.S. communities. Microsoft launched an initiative focused on fostering opportunity in small metros and rural areas. And AOL co-founder and Washington, D.C.-based investor Steve Case launched a $150 million Rise of the Rest seed fund for start-ups in the Midwest and other overlooked areas, backed by a who’s who of Silicon Valley luminaries. Next must come more explicit acknowledgement of tech’s geography problem and hopefully significant investments and skill-building by big tech in left-behind regions. As for policymakers, they need to acknowledge the dangers of a national map characterized by too much tech-driven growth in a few places and too little elsewhere. Governments will likely need to intervene directly to ensure the benefits of tech-driven growth are more widely distributed, even while maintaining the efficiency of dynamic clusters. One way to do this at the federal level is for the government to establish a competition through which 10 or so medium-sized cities in the heartland would compete for major new federal investment and designation as a rising “tech pole.” Pressure from lawmakers to invest more in the places left behind would also be helpful. The world’s most digital nation and its tech titans need to recognize tech’s harmful tendency to deepen regional divides — and start pushing back on it. With all the economic growth it has spurred, big tech is contributing to rising territorial inequality — and we need to fix it before it’s too late. This post appeared on brookings.edu on October 9, 2018.